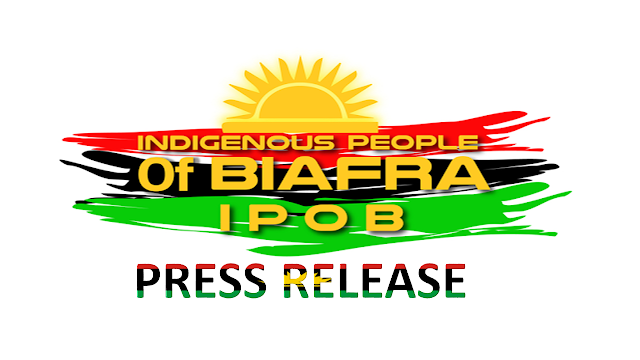 We the global family of the Indigenous People of Biafra (IPOB) ably led by our supreme leader and prophet of our time Mazi Nnamdi Kanu will stand on the decision of election boycott in Biafraland on the 16th of February 2019, the boycott of presidential election next month will showcase our readiness, determination, and seriousness in the pursuit for Biafra freedom and sovereignty. It is important we notify our people mostly politicians, clergymen, and women including pastors who strongly believe in rebuilding one Nigeria to retrace their steps because Nigeria Government and its leadership has been hijacked by Fulani people. Fulanis are parasites and stranger in Nigeria today but unfortunate that they control over 200 million Indigenous Population because of British support to them. 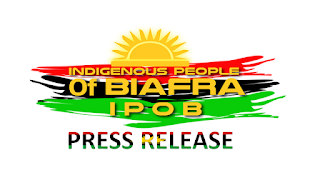 In few days to come IPOB high command will release a blueprint and how this election boycott will be achieved and it's benefit to Biafrans, IPOB will evoke a high level of civil disobedience next month to make it effective so as Biafrans will realize how much determined we are. Federal Government of Nigeria, South East governors mostly Okezie Ikpeazu, David Umahi and Willie Obiano including Ohaneze Ndigbo led by Nnia Nwodo conspired and brought in operation python dance to frighten our people to trigger panic, apprehension, and fear in the minds of Biafrans who believe in Biafra restoration project. IPOB will inevitably bring those governors and few Abuja/Lagos based politicians who believe in serving Hausa Fulani caliphate to account in no distant time. I support election boycott 1000%. All Hail Biafra!